Exercising and eating healthy is hard enough to do when you’re home with a normal schedule. Throw a vacation into the mix and things instantly get more challenging! However it doesn’t have to be this way! Staying on track during vacation is much easier than you think. It shouldn’t be an added stressor, because let’s be honest, packing and planning a vacation is stressful enough! It should fit seamlessly into your vacation without taking time away from fun, friends, and family. 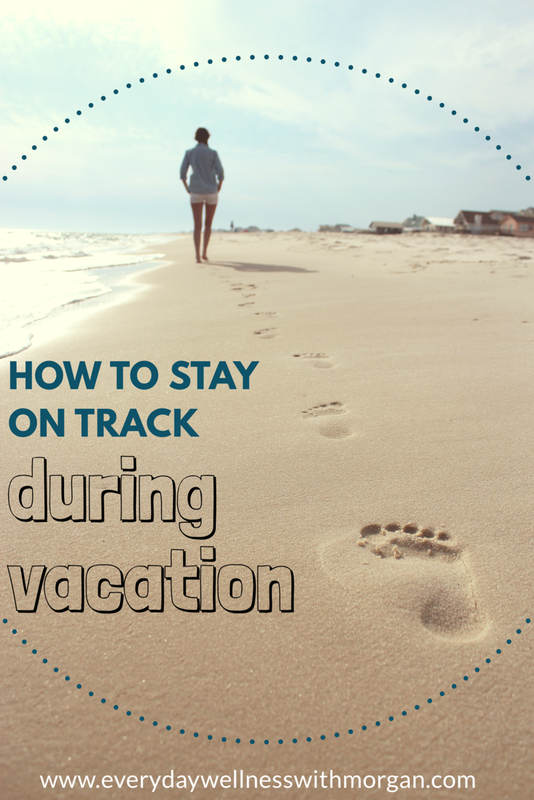 Today I’m going to share with you my 6 tips to stay on track during vacation! Most vacation spots have gyms or fitness studios that offer drop in passes or one week memberships. 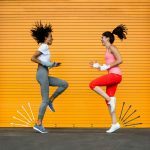 This is a great way to keep up with your current exercise routine! I love taking this opportunity to try out new classes that you might not have access to at home. If finding a gym is not an option, bring a gym with you! Always pack a pair of sneakers. Try going for a walk to take in the new scenery! I also love packing resistance bands because they are lightweight and don’t take up much space when packing. However you can work your entire body with one single resistance band! 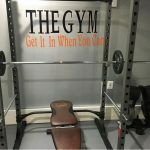 Try this – I love these Black Mountain Resistance Bands because they come with a variety of different weights, plus it comes with a super handy door anchor. 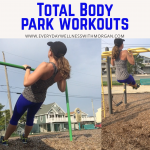 This makes exercising on vacation a breeze! I typically prefer bands that come with attached handles, as opposed to detachable ones. I find them to be more sturdy. Vacations are always a time to go out to local restaurants with friends and family. Enjoy this social time, but also be mindful of what you are ordering. 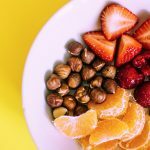 Most restaurants will have healthier options on the menu, and they will always modify things if you ask. Try subbing seasonal vegetables for french fries, ask for your food to be grilled or baked instead of fried, and try to limit the amount of bread you consume before the meal. I know it might sound crazy to limit alcohol on vacation, but the calories and sugar add up fast! You don’t need to cut it out all together, but try to limit it when possible. Stick to one drink during happy hour or one drink during dinner. Or if you know that one night you’ll want two drinks, try to skip the alcohol the next day. And always remember to drink lots of water during the day! Plan active activities the entire family can do! Why not include the whole family in your efforts to stay active? Research different activities around your vacation spot that the entire family will enjoy. Visit a local lighthouse and climb to the top, go scuba diving, go on a hike, do a family bike ride along the bay. There are so many options out that that you are guaranteed to find something everyone will enjoy! Hopefully the idea of staying on track during vacation doesn’t sound as daunting as it did before! None of the options listed above should take away from any of the fun that happens on vacation. Vacation should be a time for relaxation and unwinding, so instead of stressing about staying healthy, simply follow my 6 steps above to seamlessly stay on track!